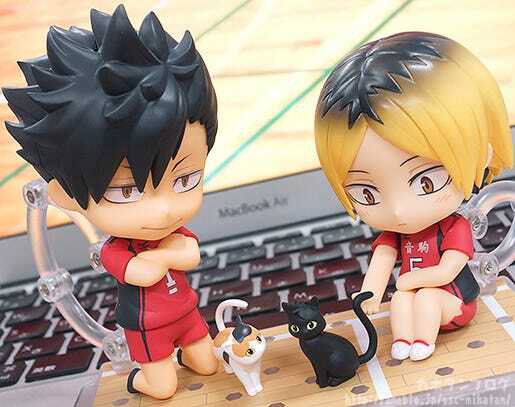 From ‘Haikyu! 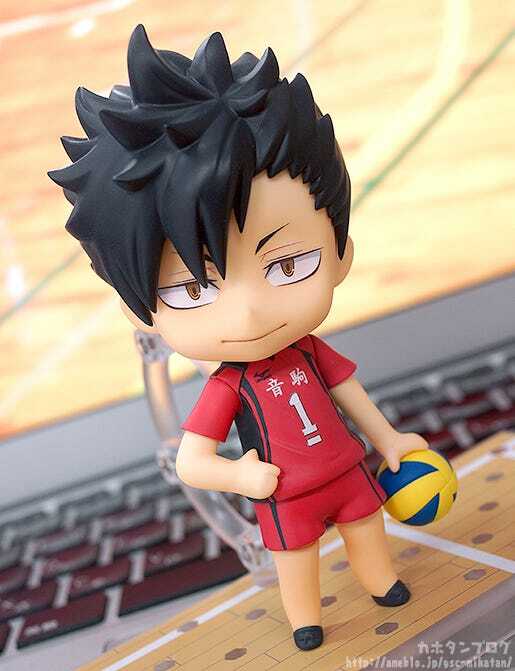 !’, the popular volleyball manga series with a third anime season currently airing, comes a Nendoroid of Nekoma High Boys’ Volleyball Club’s captain known as the “Calm and Collected Tactician” – Tetsuro Kuroo! 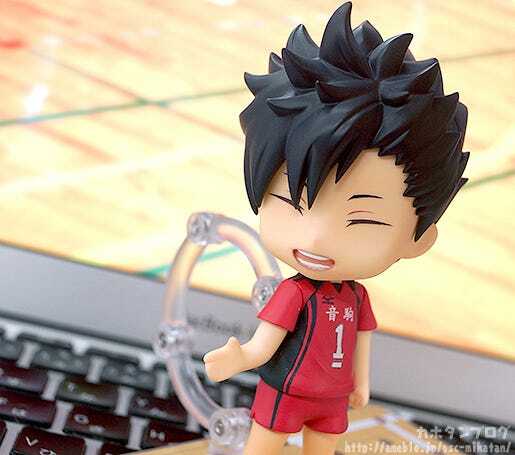 He comes with three face plates including a standard expression, a grinning expression with sharp eyes as well as the malicious smile he had when handshaking the captain of the Karasuno High Volleyball Club’s captain. 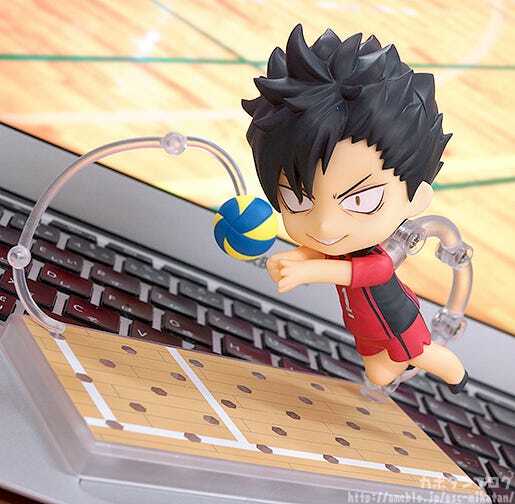 The Nendoroid allows you to recreate a number of memorable scenes from the series and also comes with a volleyball as well as a special base made in the image of a volleyball court. 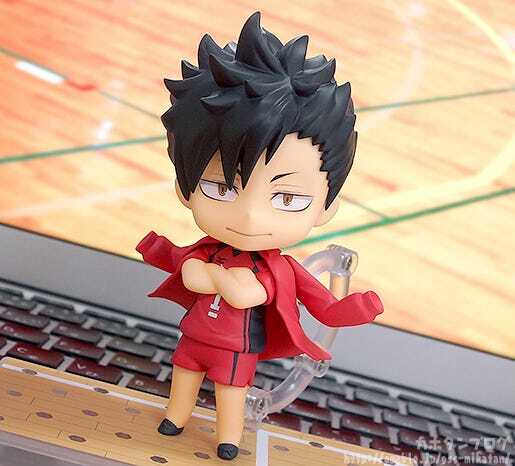 Optional parts include a team jersey that can be worn over his shoulders as well as a calico cat! 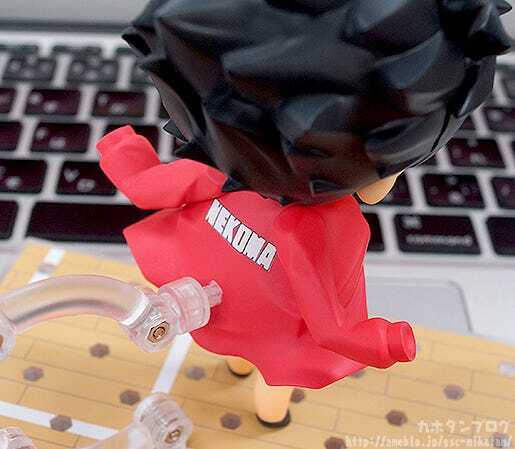 Be sure to display him with the other characters from the series and recreate all sorts of different scenes! 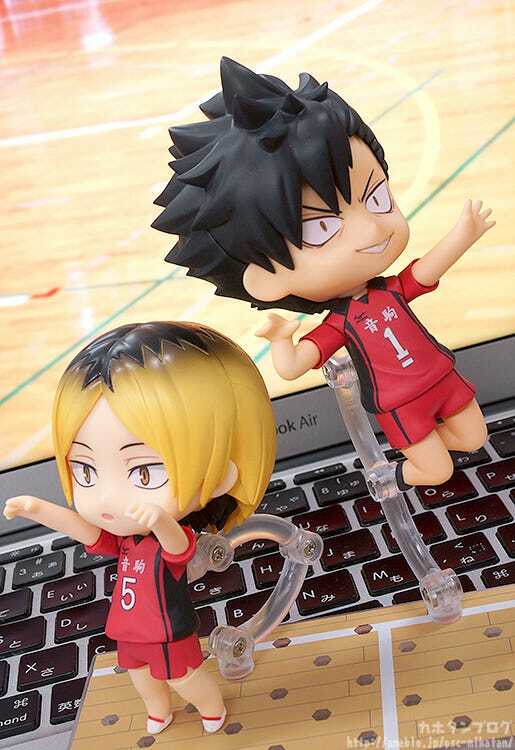 The Nekoma High Boys’ Volleyball Club’s captain, Tetsuro Kuroo is joining the Nendoroids!! 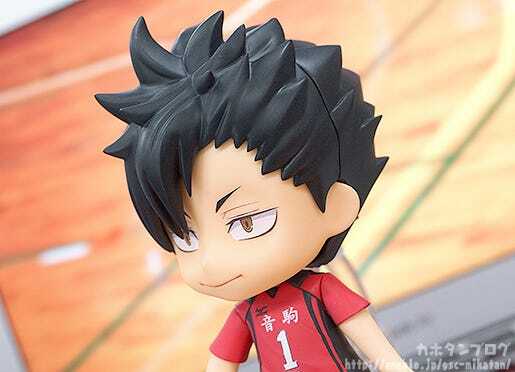 His sharp gaze to eye down his opponents, the aloof mouth and that rather messy hairstyle that looks a bit like bed hair have all been faithfully sculpted in Nendoroid size! ▲ That haughty look is so perfect!! 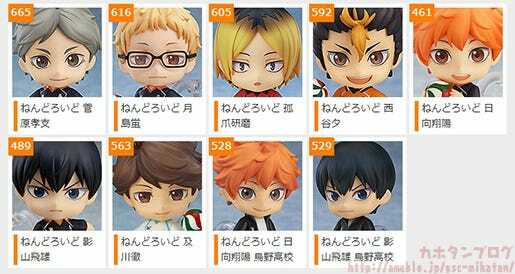 He is also the 10th Nendoroid from Haikyu!! He might be smiling, but there is a lot of power being put into that hand! 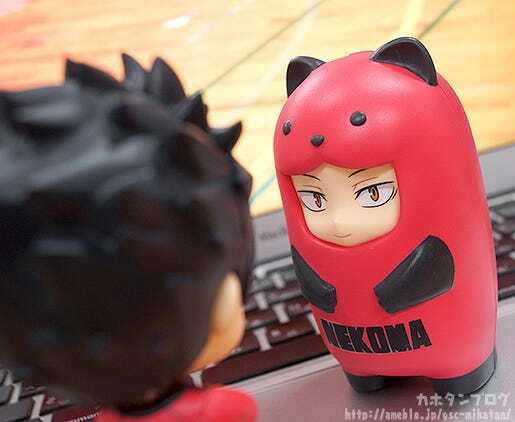 Normally a ‘grinning’ expression is more of a cute, smiling expression… but in Kuro’s case it just shows his determination to win the battle!!! He normally looks so calm and collected, but this expression shows his passion for the game once things get started! 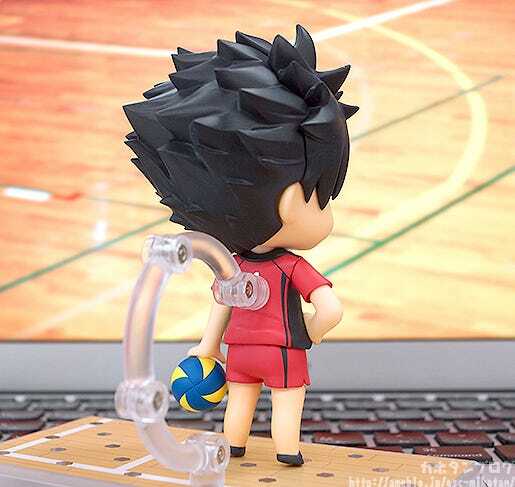 In addition, he also comes with his team jersey which he can wear over his shoulders! 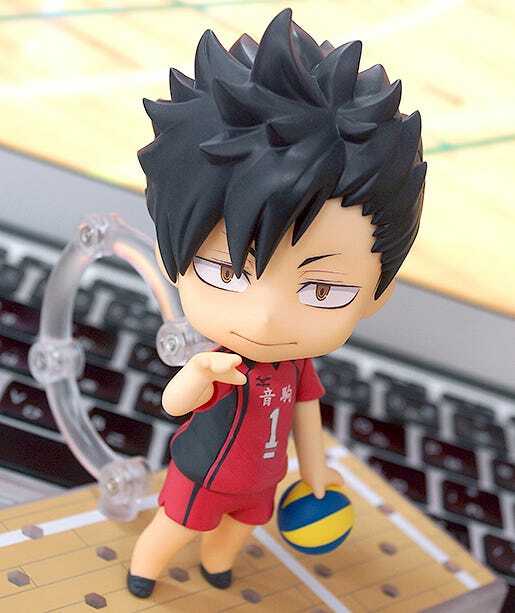 Combined with the folded arm pose you can pose him as if just before a game starts – such an intimidating look! 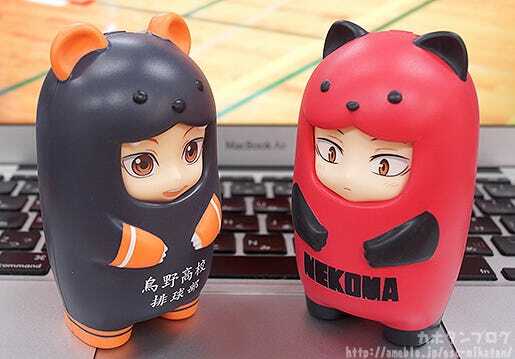 Be sure to add the cute captain of Nekoma High’s Team to your collection! 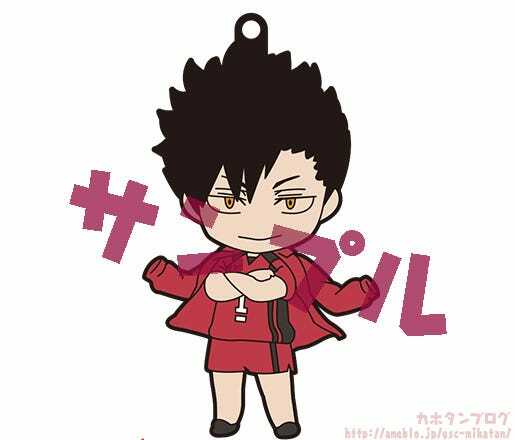 Plus, orders from the GOODSMILE ONLINE SHOP will include a Nendoroid Plus Rubber Strap: Tetsuro Kuroo – Calm and Collected Tactician Ver. as a bonus! 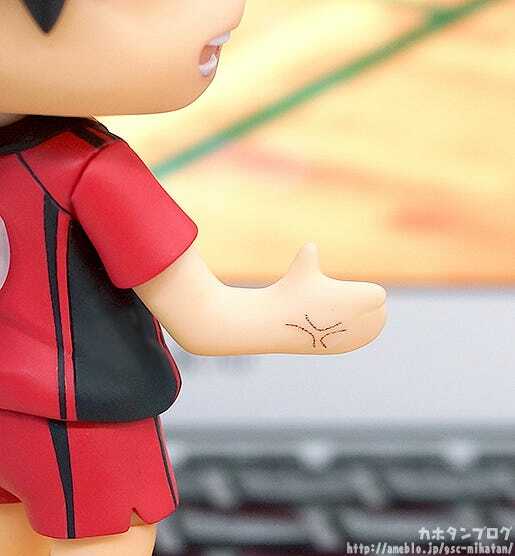 Plus we also have other Haikyu!! 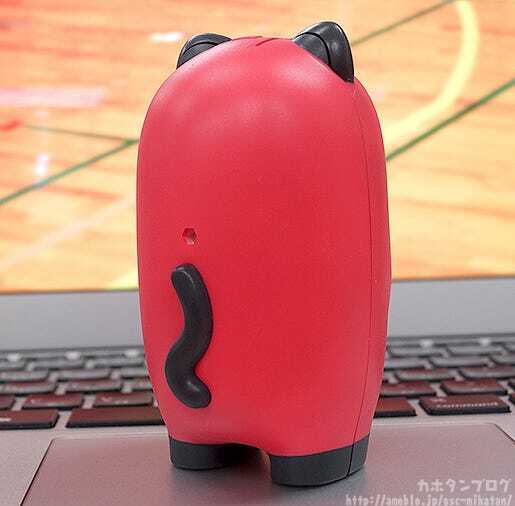 related products up for preorder tomorrow! 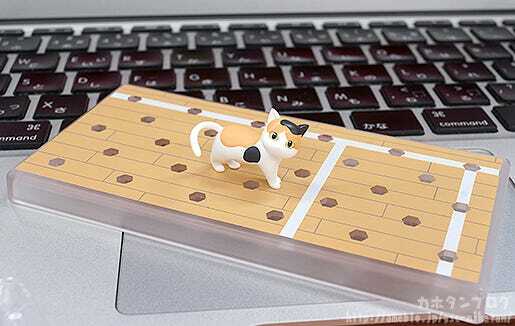 *Face Plates are not included. ▲ A look from the back!